Its Awesome. I surf so many articles for this matter, but found this the BEST. I will give 10/10 to this.Thanks Sir. This the best and many thanks to you. Never did anything else so i would just say to people be careful and be sure you know how to get back in if your going to change selinux=disabled 😉 thanks by the way, this was a very well written and informative article. 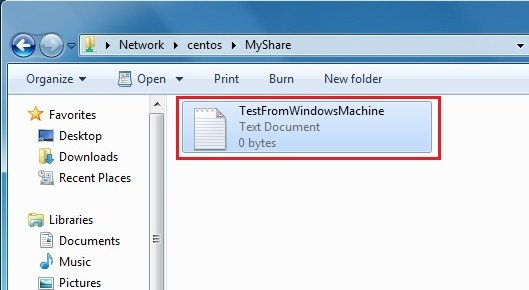 have you heard anything about sharing folder from centos to windows where the share folder is located under an LVM partition? 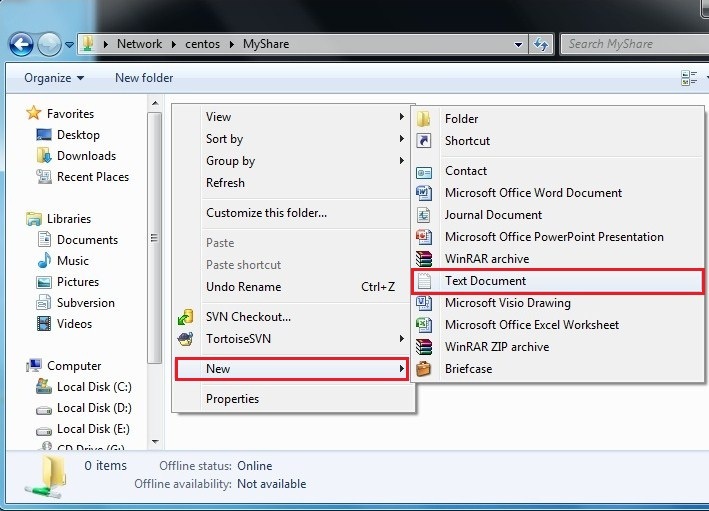 I am asking that because it does work when you share a “normal” folder but it doesn’t when the share is located on a LVM partition? Excellent article! 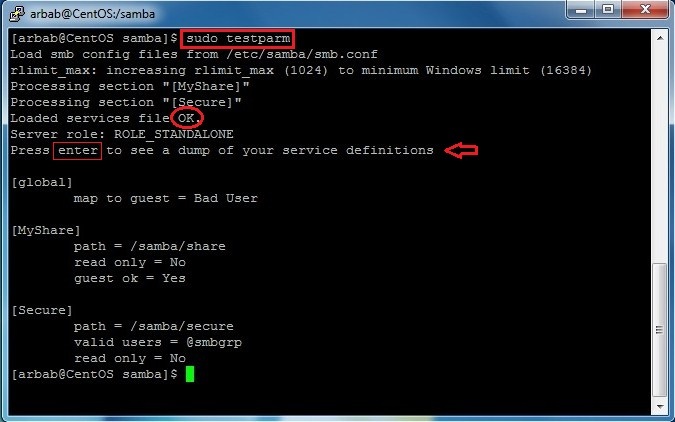 Beware of where you put the /samba/share directory on the Linux VM. 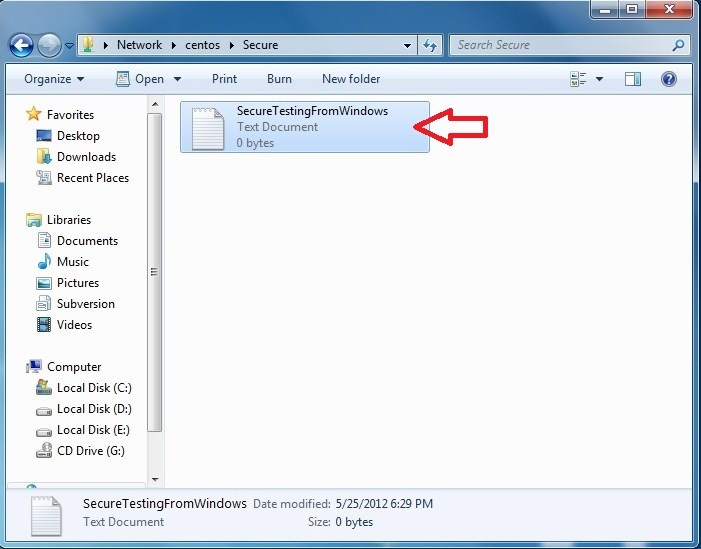 If you put it in /home/user, the Win7 host will not be able to access it. Very x 10e10 thank’s!!!! you saved me .. was the best article I’ve found. Greetings from Colombia. Hopefully three years later your still looking for the answer. Pingback: Instalar un SO remotamente mediante IPMI | Hello, IT. 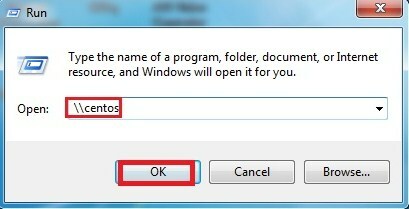 Anonymous : when i access the created from a linux machine , even if i enter the user name and password it doesnt works for the secure folder but for windows its works fine.. whats the issue ? 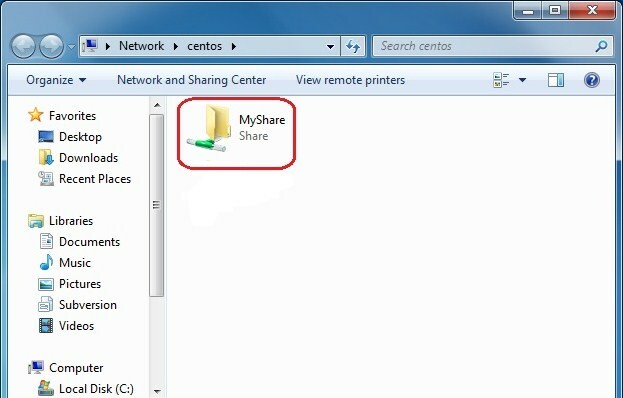 Now I can browse the share from any client Linux and Windows. Thanks for this dude…it helped me a lot. Concise, simple and to the point! What a fantastic SAMBA guide – never seen one so easy. Very nice!! smooth and steady article! 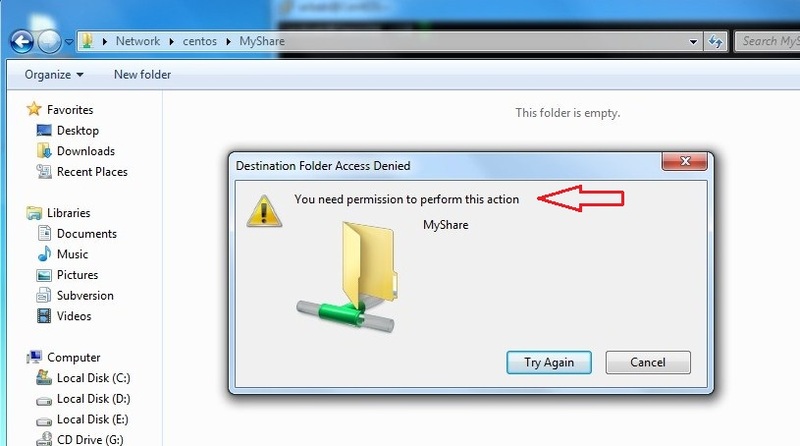 The setting “security = share” leads to an error during startup of the service. 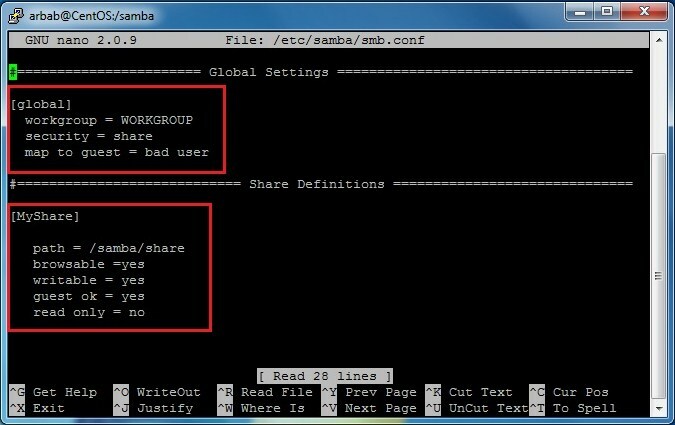 I’m using samba 4.2.10. I removed the line and everything’s working fine. 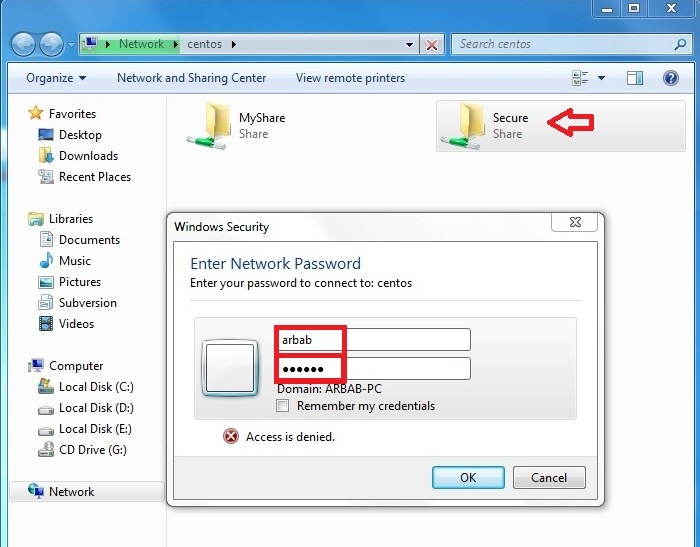 I am learning Certificate 4 in Networking at TAFE (it’s like an Australian public college but the networking courses are Cisco certified which is recognised world wide) and we have been running CentOS 6.9 in VMWare Workstation Pro (my teacher is more of of a fan of Workstation Pro than VirtualBox). 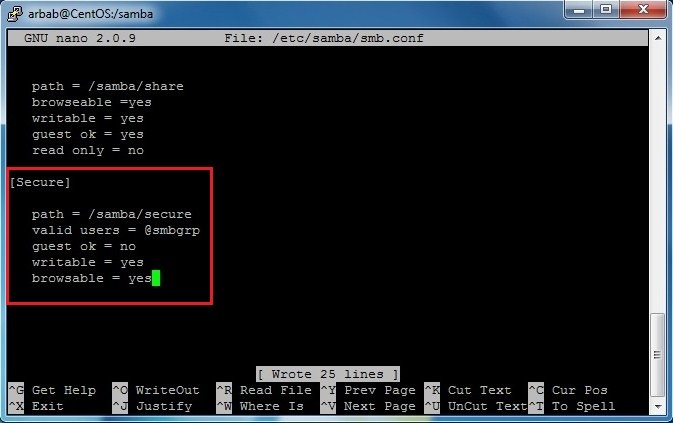 I am just typing up my last assignment on CentOS 6.9 (Setting up Samba) and your website has been a great help for steps I have forgotten.